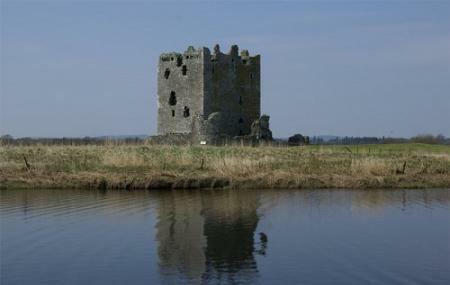 Threave is a superb castle to visit, from the walk between fields to get to the boat where you see Red Kites, to the crossing itself over to the island where the castle sits. If it's a good day, you can enjoy a picnic as the grounds are grassy and wonderful. The castle itself is spectacular, inside and out. Once back on the mainland, you can visit the Osprey viewing point and see the mother chicken feeding her chicks. Altogether, this will be an excellent trip. To personalise your visit to the city, you can use an all-inclusive Castle Douglas trip planner for the same that will give detailed information about visiting the city. Oomph up your visit by adding the best hotels in Castle Douglas like East Brae Cottage, Dee View B&b and Trewan Holiday Cottage. Explore the best Castle Douglas vacation packages that will take to you important landmarks of the city! For getting in, check out how to reach Castle Douglas. Love this? Explore the entire list of places to visit in Castle Douglas before you plan your trip. Fancy a good night's sleep after a tiring day? Check out where to stay in Castle Douglas and book an accommodation of your choice. The castle was still closed when we visited but it was a lovely day for a walk and we saw the Osprey nest and the male osprey waiting for his mate to arrive from Africa! The ladies at the osprey viewing platform were very helpful. I may have seen the nest without their help but I definitely would not have spotted the osprey! Well worth a visit. It's more about the journey than the castle itself - there's a boat ride over, ring the bell to get the boat person's attention. Between April and November you might also get to see osprey from the viewing platform, but it's not a guarantee! Firstly not expensive to visit. Easy to visit by car. Free car parking. I'd buy the guide book as it gives background to your visit and how this fits in to history. And with a good walk away from the car park and the road the countryside is so quiet except for the birds. Best to visit on a blue sky day for photos. Ring the bell and a small motorboat comes to collect you and be taken to Black Douglas's former castle. Not so much to see, but more to appreciate with the guide book. On this occasion part was closed off for repairs and the upper part was closed due to nesting birds. If you are in to bird watching there are some hides and telescopes with the guide to advise on. For me it was a photo and history outing. Nice also for the country walk. Not sure this would suit wheelchair users - you may wish to contact them before travelling. Bring your own food and drink, as shop only had a few souvenirs. By the way - castle and grounds have no toilets, so use the facilities at the info centre before you trek to the castle. For overseas tourists this would be worth a look at for the novelty of a Scottish castle on an island and the little ferry boat crossing. Enjoy your day.... I did. Threave estate circular walk fully open and good underfoot. Peregrine falcon on the castle. Whooper swans arriving on the marshes. Goosanders on the river and much more. Well worth a visit. Fingers crossed for the return of the ospreys in March. Very first visit castle not open so no boat trip across but lovely walk to the river bank to view the castle and to observe the osprey and perigrines. All the staff were very friendly and helpful.